If there’s one thing Disney can do well, it’s sports movies. The underdog sports movie where we know the outcome, yet we still cheer as though the hero may not attain his goal. While we may know that everything ends happily ever after, what really matters is how the protagonist got there. How did this person go from “zero” to hero? What was his motivation? What kept him going? 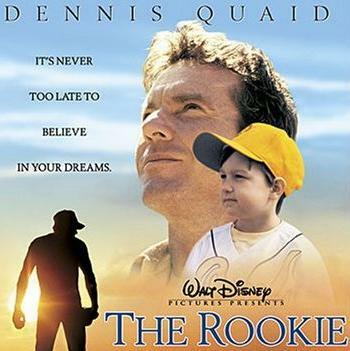 Addressing such questions is what makes The Rookie a true sports classic.